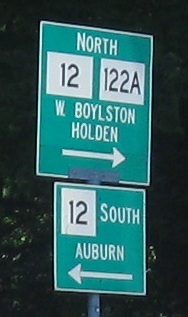 The above shield is where MA 122A turns onto MA 146, nowhere near any north-south Interstates. Halfway across the country, some city's beltway has a white North and arrow with an Interstate shield and no idea why. All photos are NB. Just after picking up MA 122, the two routes head under this railroad with way too much concrete and not enough clearance. Situations like this are not meant to be posted in a single sign; I don't think the MUTCD approves. 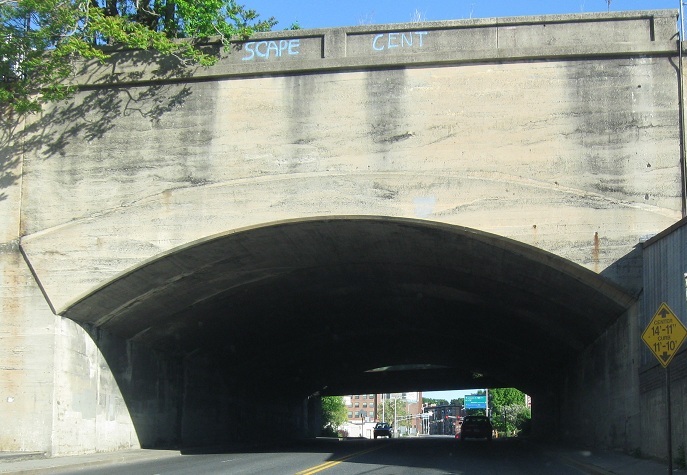 Murray Ave. heads right to High St., which then does connect to Highland St. But you could have turned right a block before at Main St. and saved some time and distance. 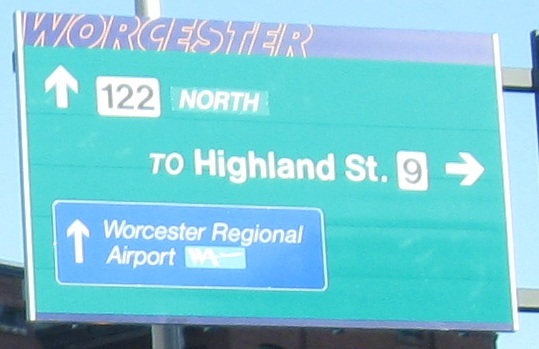 Notice how Worcester doesn't sign MA 122A overhead (true of all of its other custom city-made signs, one of the only cities that makes its own overhead signs). MassHighway actually does a good job signing 122A through the city, including throughout the 122/122A duplex. 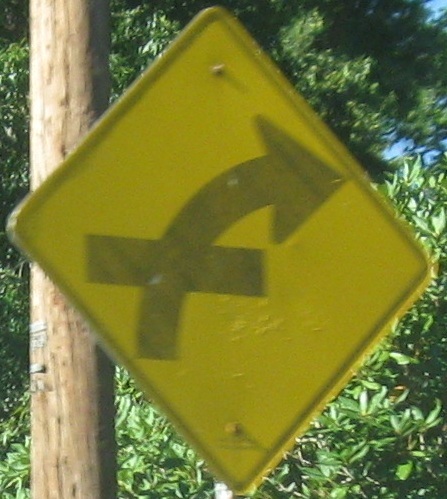 One of the MA 2/MA 2A duplexes is also signed, but most times an A route meets the main route (especially outside Massachusetts), it disappears. 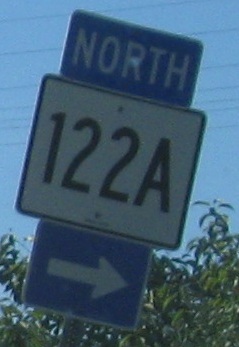 MA 122A isn't done multiplexing its way through Worcester, though to its credit, it does have long stretches on its own outside the city. It's long enough to warrant its own number, and Massachusetts has plenty available, even the desirable ones under 150. Up to Shrewsbury St. in Holden.